My one and only fan mail letter. Back in January of 2017, I wrote one letter. I was too tired to write anything else. My son was deep in treatment for acute lymphoblastic leukemia and he was deeply in love with Harry Potter. So, I penned a thank you note to JK Rowling. His treatment exhausted us both to the bone. But the one of the biggest lessons I learned in our experience battling his cancer was the importance of gratitude. Gratitude for every little thing: meals delivered, LEGO sets sent, empathy, comfort in the form of hot tea or word on a page, even puncutation telling us it’s time to put the book down and rest. I was compelled to write JK Rowling to say thank you for making my sick son’s life, not only bearable, but alive with imagination. And she wrote back. Actually, one of her staff wrote back with a lovely letter explaining that Harry Potter’s creator was very busy. The care package include a few postcards of Scotland and a pin of Harry Potter on his Nimbus 2000. If you are thinking of thanking someone you admire or want to express gratitude, stop thinking and start doing. If you are thinking of taking that once-in-a-life-time trip, make it happen. Now. You have one life and it is breathtakingly, heartbreakingly short. If ever there is a boy who deserves to live, he is the one. His name is not Harry Potter; his name is Ewan. 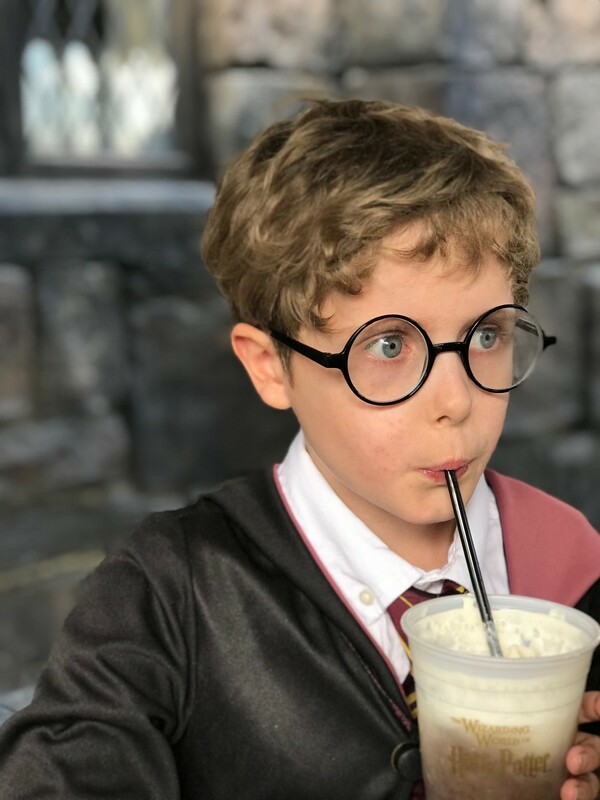 At age seven, he is old enough to understand that he is too young to receive a letter of acceptance into Hogwarts but he is too young to not believe that it can’t happen. He believes in the legend of Santa riding the world in his sled at Christmas. He believes the Easter Bunny hides hand-dyed eggs and he whole-heartedly believes in the magic of The Boy Who Lived. It had been years since I picked up your magnum opus and read its complete contents from One: The Boy Who Lived to Epilogue: Nineteen Years Later. I’ve done it various times through different lens: once on my own, as an unattached, pop-culturally literate young adult, then later with each of my 3 older children. With the oldest, Tom, he experienced the magic in fits and bursts as subsequent books were released while he was still little. In the era of midnight release parties, he grew to relish a world of fantasy — a world that was an escape from this one. One where goblins guarded gold, dragon eggs hatched and children who were “special” donned cloaks and attended school in castles. HP books were his springboard into today’s love for fantasy, rpg and D&D. My second child, more matter-of-fact, gravitates to non-fiction. Fortunately, he came into his youth at the peak of the movie releases. The magic in the books didn’t make sense until he could see it with his eyes. He is especially keen on both Muggle and Wizarding worlds of transportation and is fascinated with naming conventions of spells. Paul also gets a rise out of Snape’s arid, sarcastic humor. But Harry Potter’s world does not draw Wesley, like the others, in because it lacks practical and historical elements. 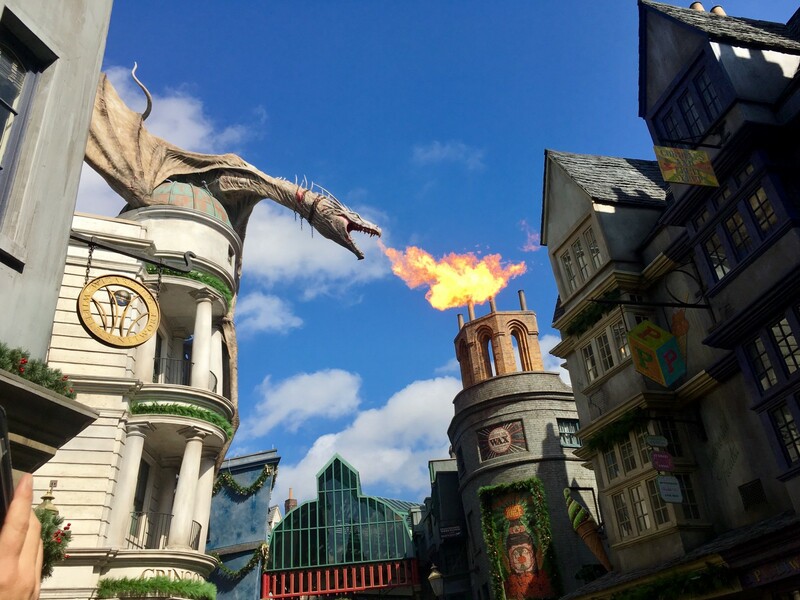 However, this did not stop him from enjoying HP’s world or from seeing Fantastical Beasts and Where to Find Them. Few females in fiction inspire like Hermione inspires. My daughter latched on to Hermione like a Permanent Sticking Charm. She identifies with Hermione’s tenacity, smarts, by-the-books nature and loyalty. Elena appreciates having a heroine with wild hair and a consummate need to consume information. Francine finds a fellow learner, do-gooder, friend and future self in Hermione. Thank you for creating a female character who is into books rather than looks. The most recent reading was initiated with the finding of cancer cells in the blood of Ewan, my gold-hearted seven year old. Ewan sees himself in Harry. He sees a very good and very brave boy who spends a lot of time in the hospital ward. Ewan relates to the boy who turns heads when he walks in a room and has eyes land on his face. He feels a bond to the boy fighting unthinkable evil and he empathizes with having unknown tasks at hand and very little to go on to complete them. Its as if Ewan can see himself on the Quiddich pitch or in the Potions classroom through Harry. He lives vicariously through Harry’s triumphs in the Tri Wizard’s Cup and can feel Hagrid’s huge, hearty hugs. Ewan and Harry are kindred spirits on different continents. We started reading your books out loud when he was first diagnosed with acute lymphoblastic leukemia. We needed a way to fill up hospital time. It started with a chapter a night in a hospital bed. When he came home the ritual continued. Times when he’d return to the hospital, we’d read several chapters a day. Soon, Ewan was reading ahead to find out Harry’s fate faster. He started regularly wearing his oldest brother’s hand-me-down Gryffindor House tee. Ewan drew his own Patronus — a black-bodied, duck-billed creature (he was using white paper). The other day, he sketched the symbols of the Deathly Hallows. All he wanted for Christmas was the Harry Potter version of Clue, which, of course he received. Spanning Sept. to December 2016, Ewan read all 4,224 pages in your series. On the night, Ewan came to the closing of Harry’s epic journey, Ewan had me read on through the About the Author and Illustrator sections then go back to the front matter and Table of Contents. He savored every word printed on the pages. As books were completely, he faithfully watched all 8 movies. Even as I write, Ewan is currently under his blankets, reading some scene in Act 3 of Harry Potter and The Cursed Child by hand-crank flashlight. I am writing to say thank you. Thank you for bringing the joy of reading into the lives of all of my children, most especially the last one. He has considerably less to be joyful about. Many recent days have been spent in bed or on the sofa with a grey bucket by his side. One could argue that the reason for Ewan’s intense interest and deep pleasure in your books boils down to the fact that he finds little pleasure in most other things. Eating and exercising, as he used to know it, are unappetizing and out of the question. Travel anywhere outside a one-hour radius from Children’s Hospital is absurd. When his immune system is low, he can’t even sit in the company of friends. Disappearing into Harry’s world has been the safest, most sure-fired way to enjoy adventure, action, travel, companionship and a chocolate frog or two. The truth is that you wrote out a world within each of my children. Your books are genius. You have done an exceptional job: tales spun that withstand the test of time and touch readers as if they were personally tailored to each one of them. I even see my own narrative in your stories. I see the sweet glow of Harry Potter in my beloved son — a good and brave boy whose mother loves him very much. So much so, that she saves him. I wish I could write my way into your works and add my own ending; find a way to shield and save my own son with love. The last five months have shown me that its not enough to always stay close. An enchantment protection, a sacrifice of love… whatever magic it takes so that that all traces of cancer are removed. Then he would surely be The Boy Who Lived. I don’t have magic but I love deeply and hold hope dear. Thank you for giving us all, in a time of illness, grief and despair, another place to go and live beyond our dreams. A place where hospital wards are commonplace, those we love are with us until the very end and in that end, good conquers all and love reigns.